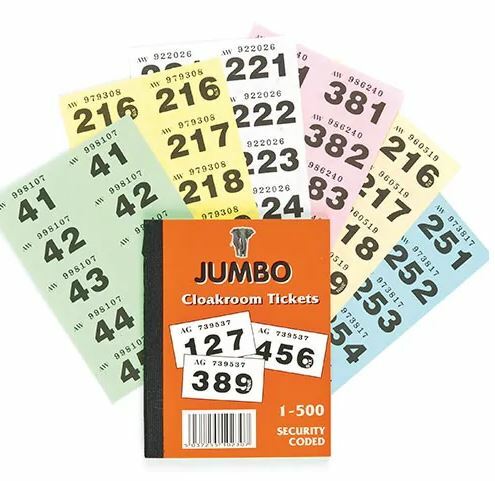 Books of cloakroom tickets for raffles or tombolas. Easy read and tear . Each book contains 500 security coded tickets in assorted colours. Cost price of £1 per book (colour as available).